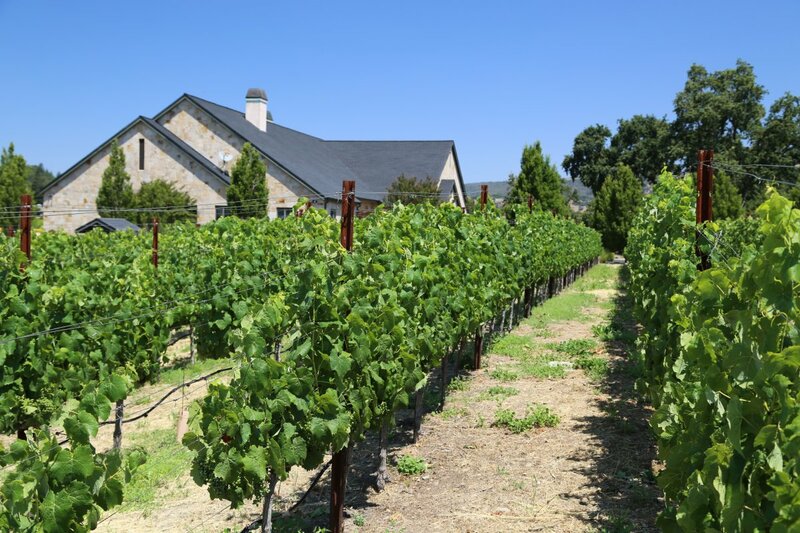 Kapcsandy Winery is a small family owned and operated winery located just east of Yountville surrounded by prime vineyards and producers. 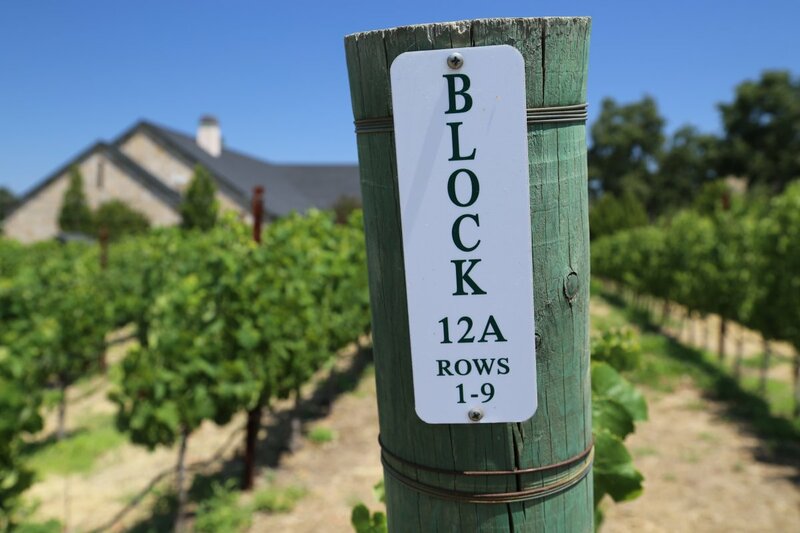 This site was originally the Beringer leased State Lane property which produced some of the finest grapes for Beringer’s wines including the fruit for their first Private Reserve wine in 1979. The fruit from this property provided the basis for their private reserve wine for 20 years. 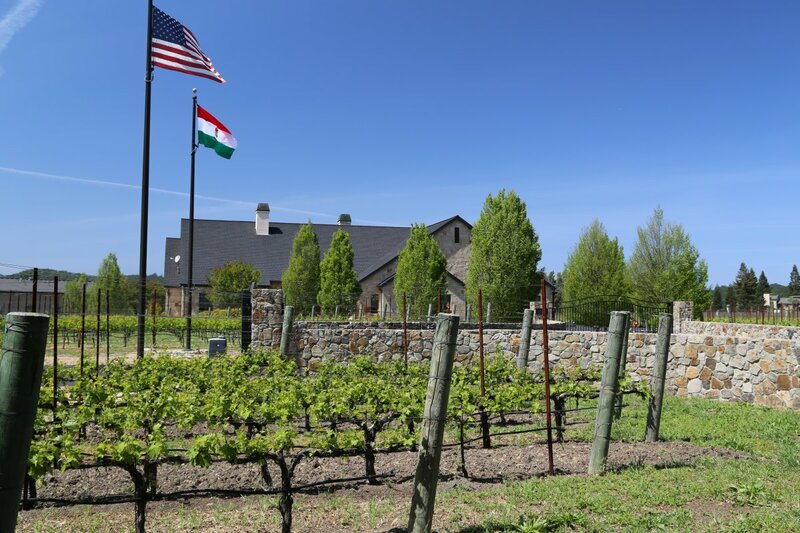 Founder and owner, Lou Kapcsandy (who we met with on our first visit to the winery) was born in Budapest Hungary and has an interesting and diverse background. While in Hungary he played professional soccer. He left Hungary in 1956 and eventually came to the USA where he worked in petroleum and pharmaceuticals engineering and design and later ran Baugh Enterprises, a large industrial general contractor in Seattle. His first trip to the Napa Valley was in 1962 and subsequently he made many trips after this. He remembers personally knowing “all 14 winemakers” in the valley in the 1960’s. Today that number would be measured in the hundreds – in the valley alone. Lou has long been interested in fine wine and in 1999 co-founded Grand Cru Imports, www.grandcruimports.com, a company that focuses on importing fine wines from Bordeaux, Hungary and Spain. Upon “retirement” Lou decided to follow his passion and with a little luck was able to find the property on State Lane. Today his wife, son Louis Jr and daughter in law manage the winery operations. Lou has his own degree in winemaking from the UC Davis Extension program and several prominent winemakers have been Kapcsandy’s consultants over the years including Rob Lawson from Napa Wine Co and Dennis Malbec. Denis came to Kapcsandy from Chateau Latour, the First Growth estate in Bordeaux and tragically died in Yountville in a car crash in 2016. Renowned winemaker Helen Turley made the first several vintages and helped plant their initial vineyards. All wines are produced from fruit grown on the estate. 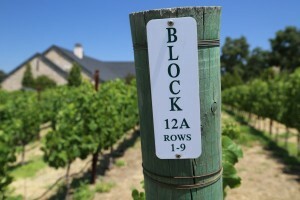 The property is 20 acres of which 15.5 are planted. Despite a relatively small piece of property there are an amazing variety of soil types and they have the planted acreage separated into a number of individual blocks. Initially satellite illumination studies were conducted on the property to best help determine which direction to plant the rows and how to deal with the angles of the sun depending on time of day and year. The vineyards are all sustainably and hand-farmed. Despite being on the valley floor the soils are rather shallow with an extremely hard clay layer beneath the top soil – perfect terroir for stressing their red wine varietals. Three things are held close to the vest at Kapcsandy Winery. One is the micro-management and quality of their vineyards, two – picking fruit when it is physiologically ripe (wines with lower alcohols – usually between 13.5 and 14%) and lastly maintaining absolute cleanliness within the actual winery. You don’t taste any Pyrazines or greenness in their wines (despite the lower alcohol) – they pick at lower brix but all of the grapes that make it to fermentation have been extremely carefully selected. They hand select a number of times beginning after set in the vineyard dropping significant amount of fruit that doesn’t meet their exacting specifications. An elaborate sorting system is in place once the fruit actually comes into the winery. Only the premium highest quality “berries” are allowed to go to fermentation, nothing else. As Lou says, there is “no substitute for bringing in average ripe fruit”. The winery is kept extremely clean and they use a number of techniques and materials to ensure this. Literally there is no wood inside the winery except for the oak barrels. Both French and Hungarian wood are used. And during the winemaking attention to detail is paramount. Preferring a gentle touch when it comes to harvesting the grapes and sorting as the fruit is brought into the winery, Lou hires female vineyard workers. For a small winery they produce a number of wines, but all in small production – usually in quantities of merely several hundred cases. Some of our favorites are spotlighted below. The 2008 rosé is quite unique to Napa. This is a robust rosé, it has flavor and character and body. How often have we said that about rosé’s produced in Napa. It was aged entirely in stainless steel and stirred on the lees for 9 months and then went through malolactic fermentation. It is predominately Cabernet Sauvignon and Merlot with smaller amounts of Cabernet Franc and Petit Verdot. It holds an orangish hue in the glass; the bouquet shows floral aromas as well as strawberry and rhubarb. The mid palate is slightly creamy. 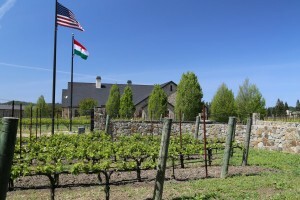 2003 was the winery’s innaugural vintage; the 2003 Proprietary Red was such a big wine and production was so small that they held it back for several years before releasing. It is available exclusively at the winery. Some of Napa’s finest Merlot is being produced at Kapcsandy. Several acres are planted close to the Napa River on the west side of their property located in a slightly cooler area on top of heavy clay. Because of its particular location its much easier to keep the sugars under control. They have matched the rootstalk and clone very well for this micro-climate. Lou says, “we are trying to resurrect the nobility of the Merlot grape”..and that they are doing very well. This wine has already garnered very favorable reviews from a number of people in the industry. The 2006 Roberta’s Reserve is a Merlot based wine named after Lou’s wife. It hints of brown chocolate with subtle notes of cedar. 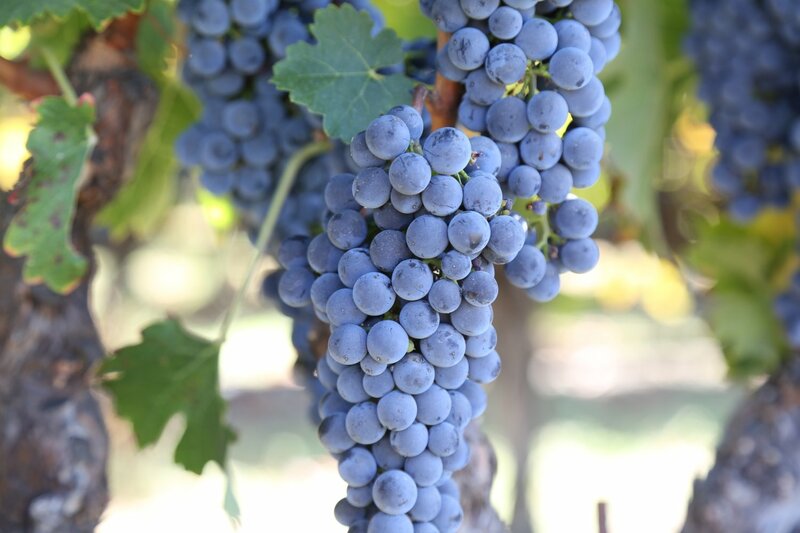 The layers of flavor on the palate are big but are integrated beautifully, balanced by the wine’s robust structure – it is a big Merlot but like their other wines, is in balance. The 2006 Cabernet Sauvignon is dark in the glass with spices and dark fruit on the bouquet. This is a rich wine – red and dark fruit flavors show throughout the palate with notes of leather, licorice and red currant. With well integrated flavors and good acidity this will be a good wine to pair with a variety of foods. The finish is very long and flavorful anchored by sweet tannins. Again this wine is lower in alcohol coming in at 13.7%. The 2007 Estate Cuvee is a beautiful wine (it was released in September 2010). This is a dark wine with a very pleasing bouquet (dark chocolate, herbs) and we think its even better integrated than the 2006. Layers of flavor are woven smoothly together with a tantalizing finish that is long and leaves traces of berry flavors. Both the entry and the finish are very clean. Like all their wines, this one is definitely built to age. A real treat, but produced in extremely small quantities is their Merlot based dessert wine, Vino del Sol. The 2007 is entirely Merlot however later vintages include other varietals grown on the property. This wine is perfectly enjoyable by itself; there is no burn from high alcohol (good quality grape brandy used) and this wine stays away from the sometimes syrupy characteristics of some port wines. A big part of enjoying this wine is the bouquet. The aromas are layered and elegant; you can keep on enjoying the aromas as the wine opens. Black cherry and apricot flavors run the breadth of the palate finishing clean, smooth and with lingering notes of berry. Out of hundreds of premium producers in the valley, one should not forget about Kapscandy Winery and their beautiful wines. A must visit for serious wine enthusiasts.